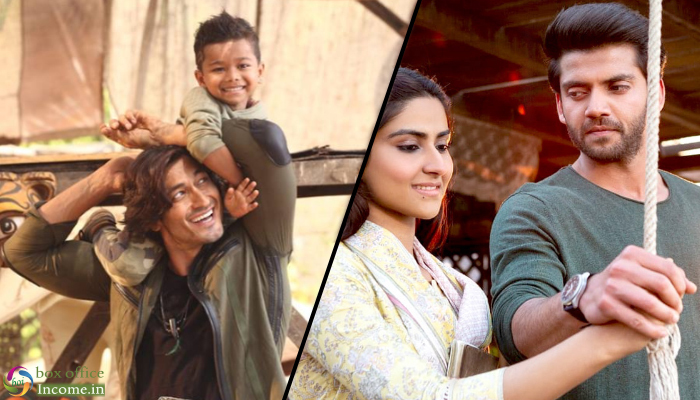 The new Hindi offering of this week, Vidyut Jammwal, Pooja Sawant, and Asha Bhat starrer Junglee is now in theatres opposite to Zaheer Iqbal and Pranutan Bahl’s Notebook which has also released on the same day. Both the films have registered an average opening at the domestic box office. Directed by Chuck Russell, Junglee had created a good pre-release buzz among the audience with its impactful trailer. Post-release, as expected, it received mostly positive reviews from the critics as well as the audience and gained a solid word of mouth. Starring Vidyut-Pooja-Asha in lead roles, the movie took a slow start with 10-15% of occupancy in the morning and managed to collect the amount of 3.35 crores on Friday after a decent growth in footfalls post noon shows in multiplexes. The second Hindi release, Salman Khan’s much-talked production Notebook has also received mixed reviews from the viewers but still hasn’t witnessed the desired footfalls in theaters. On the first day, newcomers Zaheer Iqbal and Pranutan Bahl starrer recorded an occupancy of 7% and collected 0.75 crores. Bothe are expected to take a decent jump over the weekend at the Indian box office despite last week released successfully-running Hindi action-drama Kesari. Meanwhile, Kesari would be retaining a good count of shows for itself in the second week too and is set to emerge as the top scoring film amongst all others in the running.